RANDOLPH – Loretta Bardo. 75, of 40 Main St., passed away, Monday, July 16, 2018, at Heritage Park Rehab and Skilled Nursing Center, after a brief illness and stay. She was born Oct. 24, 1942, in Jamestown, the daughter of the late Joseph and Lucy Marchiando Bardo. Loretta had lived at the Randolph Manor since the passing of her parents in 1974. 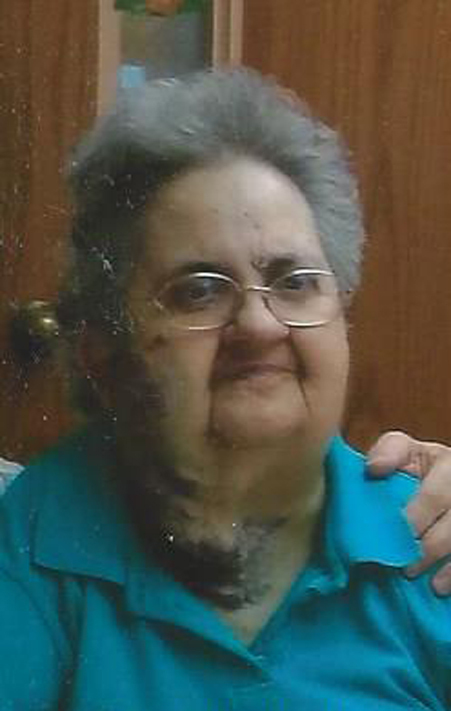 Loretta was a communicant of Our Lady of Loreto Roman Catholic Church in Falconer, as a young adult and had continued to practice her faith at St. Patrick’s in Randolph. Loretta was a kind and loving person and she was especially fond of her Randolph Manor family and the Mauro family for the compassion in caring for her these past 44 years. She is survived by her niece, Mary Jo Parsons; two nephews: John Bardo Jr. and James Bardo; as well as aunts and cousins. She was preceded in death by her grandparents; parents; and a brother John Bardo Sr. and his wife, Barbara. A Mass of Christian Burial will be said at 10:15 a.m., Thursday (July 19, 2018) in St. Patrick’s Catholic Church in Randolph. The Rev. Joseph Janaczek will be celebrant. The family will receive family and friends one hour prior from 9-10 a.m., in the VanRensselaer & Son Funeral Home, 14 Church St., Randolph. Burial will follow in the Mt. Olivet Cemetery, town of Ellicott. In lieu of flowers, memorials may be sent to the Randolph Manor, 40 Main St., Randolph, NY 14772.